LANCASTER – An ex-con was sentenced Wednesday to 50 years to life behind bars for killing his wife at their Lake Los Angeles home just over a year ago. Michael Daniel Mayberry, 37, was convicted Feb. 25, 2019, of first-degree murder for the shooting death of his wife, Sandy, 29. Jurors — who deliberated less than an hour — also convicted Mayberry of possession of a firearm by a felon. 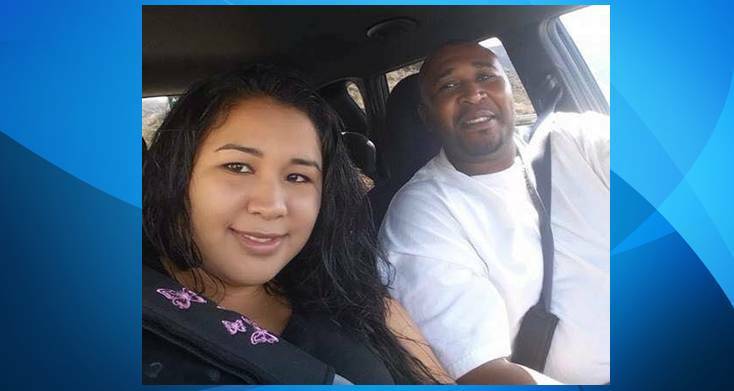 The shooting happened during the afternoon of Feb. 25, 2018, after the couple got into an argument at their Lake Los Angeles home, on the 15600 block of Newmont Avenue. When Mayberry’s wife said she was going to leave him and began to walk out of the house, he shot her four times in the back and then once in the head after she had crawled onto the front lawn, where she died, according to court testimony. The couple’s four children and Mayberry’s mother were at the home during the shooting. Mayberry remained at the scene and was arrested that afternoon. The case was investigated by the Los Angeles County Sheriff’s Department, Homicide Bureau. Deputy District Attorneys Tom Hilton and Diane Hong prosecuted the case. 16 comments for "Lake LA man gets 50 years for wife’s murder"
I knew this man. He was a bad man. He had a criminal history longer horses verga. Good people don’t act this way, murdering legally innocent ladies. The word on the streets was that he was insanely jealous, in secured, impotent, lazy, bisexual and was afraid that she was finding a real man, so freaked out. And believed that if he could not have her no one else could. He was a bad man. And God allows us to judge bad men. I knew them both he was a good man he loved he’s kids. No one is perfect he blacked out and made a mistake it could happen to anyone only GOD can judge him! Making a mistake is when you turn right and should have turned left. He has been judged, and will spend fifty years to life in prison. It’s not the first time he’s been there. He can repent and do positive things in prison. This act had nothing to do with love. He was a bad man. She was a good woman. See the dog run. Tom said see the cat run. Tom said bow wow. This poor victim looks Mexican. They may have to segregate this convict. I think there are groups all over the prison system of Mexican decent, like nortenos, LA M, costa,nuestra, Southernos, Clanton, etc…who may find out what this outsider did to a carnala (sister). Unfortunately, for him and for those hoping for a death sentence, one of those groups may carry it out.I hope not because that is unamerican. And being that she is Mexican, a blood relative is in the system already which makes his prognosis very poor. Those groups are very stealth and very dangerous. I stay away as far as possible from, I won’t even date a Mexican girl for fear that if I hurt her in anyway I may be in trouble. To this convict, I wish you luck. The ex-con is going home. Mike was a good man and he loved hes kids he blacked out it could of happen to anyone only GOD can judge him! It is never safe marry a person of a different race. Hispanic women like hard working men. Hallelujah ! Justice for sandy it’s a wake up announcement for all abusers , take a life lose yours , prayers for sandys mother and the children they are the ones who have to get up everyday missing her ,and the poor children are now without both parents because of stupid jealousy it’s heartbreaking. Should be hanged for his horrific crime! He killed her execution style in the front yard right in front of their kids!! Disgusting to give POS’s like this a free ride in life while the kids and other family members have to suffer for the rest of their lives. Especially the kids for seeing their mom executed!! Which means she is vastly more entertaining than your comment.